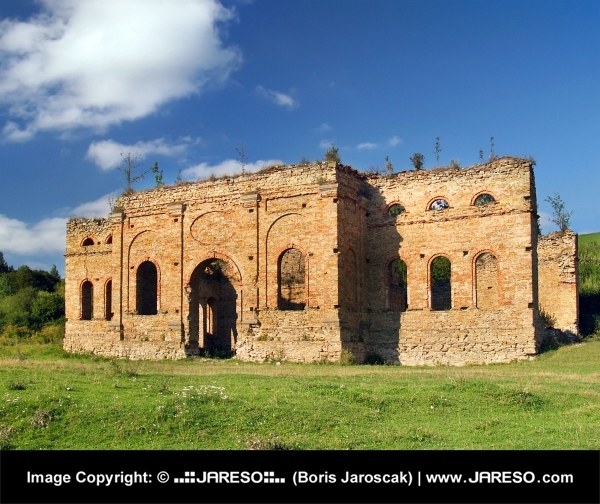 Summer view of ruined building of smelting plant (Frantiskova Huta, Hamor) near Podbiel village, Orava region, northern Slovakia. 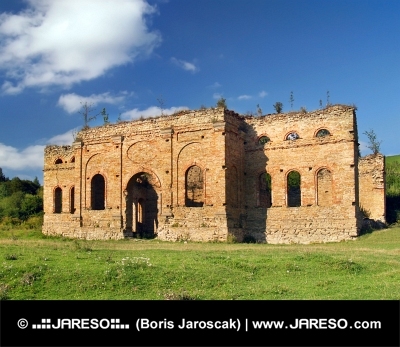 This preserved ruin is rare technical monument that was build back in 1836. Some parts such as classicist facade or exterior walls have been preserved until today. 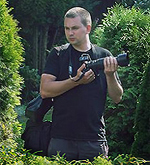 Frantiskova Huta ruin was also featured in various movies. This monument can be seen directly from the road to Zuberec village. If you will be nearby don't forget to visit it.